Indian Army Recruiting Office (Headquarters) Jaipur, Rajasthan, Is Recruiting Eligible Indians To Various Posts Such As - Soldier (General Duty), Soldiers Technical, Soldier Nursing Assrstant (Army Medical Corps) and /NA (Vet) in RVC, Soldier Clerk/ Store Keeper Technical /lnventory lvlanagemen & Soldier Tradesman. So Interested Indians Can Apply For This Job Through Online Mode, Within The Given Time Period, Which Is Mentioned Below. 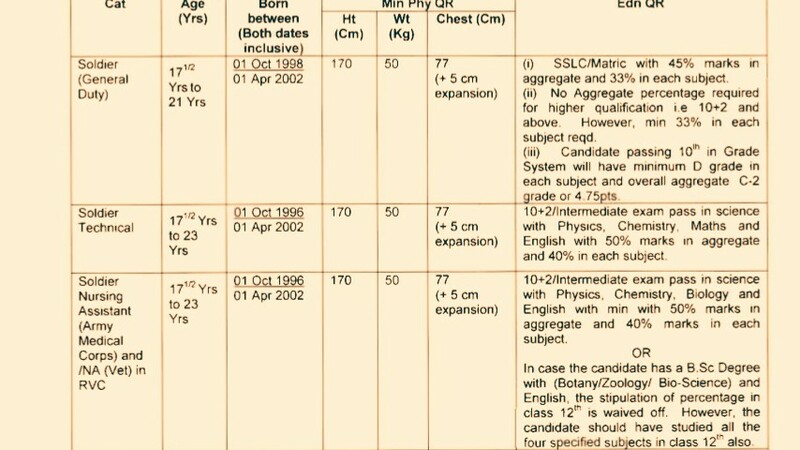 Various Vacancies, Kindly Do Check Out The Images Below For Name Of The Posts, Age Limit, Educational Qualifications, Physical Requirements (Height, Chest & Weight). B. 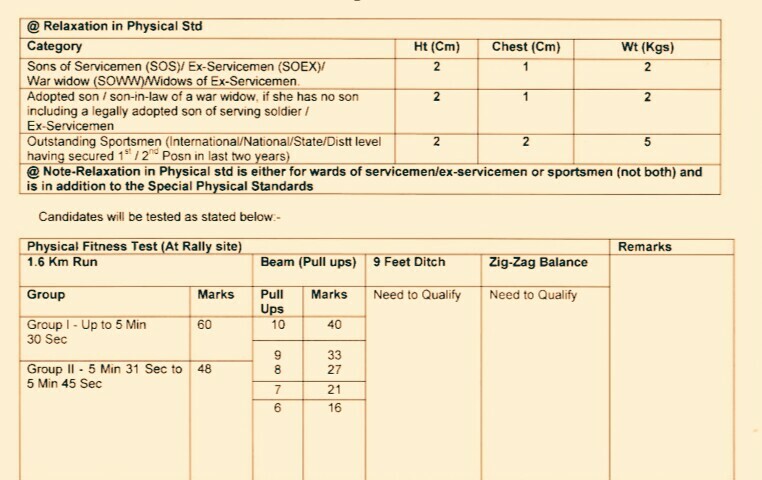 Eligible Criteria For Recruitment Rally Jaipur, Indian Army Recruitment 2019. Age Limit →Check Out The Images. Educational Qualifications →Again Go Through The Above Image's. Last Date For Online Application Form Submission →23rd Of May, 2019. Now Apply For Indian Army Recruitment Rally 2019 Jaipur.